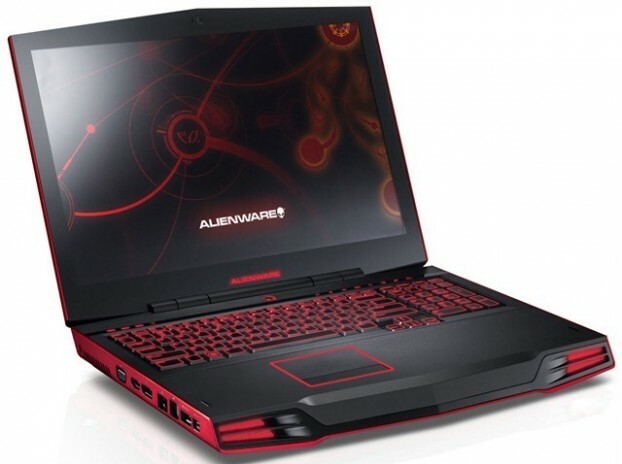 If it is the time to buy a new computer, the best choice for you would be to go for one of the Alienware gaming laptops. These laptops are feature rich gear and they mean a lot of newer features for you. They are also sure to give you the desktop experience. With its 17 inch screen, it lets you enjoy the most stunning graphics of the games that you are going to view in the games of your liking. The Alienware gaming laptops are selling like hot cakes in the market due to their large-sized screens and the topnotch gear used in them. Such a laptop gives you one of the marvelous gaming experiences. It allows you to increase the RAM up to 32 GB. As it is a laptop, you can easily move it to any place you like. You may take it along when moving to a picnic spot, office, home, or some outstation destination. It will be with you along with your favorite games without much hassle as it is available in the highly recommendable dimensions of 1.9 x 16.3 x 11.8 inches (HWD) and weighs 9.2 lbs. As it is a heavy-duty computer, it has weight that is akin to other laptops but it is much better than many other laptops that are accessible in the market. Talking about the CPU options of the Alienware gaming laptops, we find that they can have a 4th Gen Intel® Core™ i7-4700MQ processor (up to 4930 MX processor). Its cache ranges from 6MB to 8 MB whereas the speed of its different models may range from 3.4GHz w/ Turbo Boost to 3.9GHz w/ Turbo Boost. This high processor speed clearly indicates that you can play the state-of-the-art games on this computer without having any issues of 3D graphics that people usually find with other computers. The operating system used in the Alienware laptop is Windows 8 (64-bit) and the Windows® 7 Home Premium (64-bit). The availability of the Windows interface for gaming purposes makes it certain that you can employ your Windows experience in playing games on it. There may be many other laptops with different operating systems, but the availability of the most used operating system on it makes it further easier for users to operate it. It is the need of the gaming computers to have the highest available performance graphics cards for their games. This alienware 17 inch laptop lets you enjoy the accessibility of the performance graphics cards of NVIDIA® GeForce® GTX 780M with 4GB GDDR5, NVIDIA® GeForce® GTX 765M with 2GB GDDR5 and NVIDIA® GeForce® GTX 770M with 3GB GDDR5. Everybody would like to go for the computers that are worth their price and he or she would not pay more if the same type of computer is available at lower price. You will be astonished to see that the price of this alienware 17 inch computer is pretty competitive. You do not have to pay more. Moreover, if you buy it from online stores or auctions, you will see many offers of ‘Money Off’ on its buying.